Airless packaging market is likely to gain benefits by its advantage offered in terms of reducing space is taken and the ability to offer zero wastage of space and products materials. 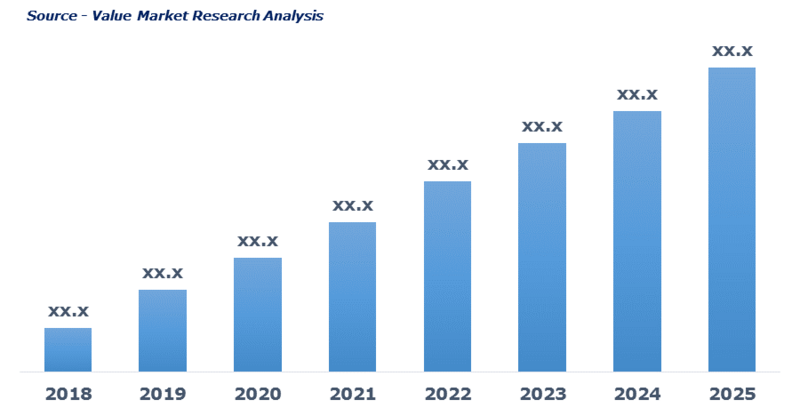 The market is also expected to gain benefits from rising demand across various end-user industry such as cosmetic, healthcare, home care, and food & beverage industry in order to increase the shelf-life of the product. Further, rising need for better packaging and low wastage of product coupled with the increase in demand for the personal care products is also expected to promote the industry expansion. The plastic segment is currently at a dominant position and this can be attributed to the advantage offered by a plastic material such as elasticity and high flexibility with which they can mold easily into any shapes. Also, the plastic materials are gaining high demand across the various end-user industry as plastic provide longer storage life over other packaging materials. Bottles & jars have dominated the segment and are likely to maintain its dominance over the forecast period since it is an ideal choice packaging among others. Rising demand from the various end-user industry like healthcare, personal care, and home care is fueling the segment growth. The pump dispenser is accounted for the highest share in the market. The pump dispensers are gaining high demand across the various end-user industry as this system helps to keep product fresh within container. The product demand can also be attributed to its ability to keep air and contaminants out of the products which improve product quality, thereby fueling segment growth. Personal care industry is dominating the market since airless packaging protects sensitive products such as skin care creams, serums, lotions and other formulations by preventing exposure to air. Also, the rising need to protect the quality of the product and extending shelf-life along with the rising demand for high-end packaging solution is further fueling demand for airless packaging in the personal care industry. North America is dominating the global airless packaging market owing to high demand from cosmetic and food and beverage industry. Also, rising demand from the pharmaceuticals industry in order to avoid contamination and increase shelf-life of the drugs is further propelling the regional market growth. As per this study the Global Airless Packaging Market was valued USD 4.5 BN (by revenue) in 2018 and is anticipated to reach USD 6.6 BN by 2025 with a CAGR of 5.5%. Airless packaging refers to a dispensing system that releases the lotion or liquid filled without using airless pressure. It involves a mechanically activated pump installed in a specifical design container, that is used to fill home care, skin, and hairless care products. It offers high functionality, protection from dirt, dust, airless, and bacteria that extend the shelf life of the products in medical, cosmetic use. Growing demand for easy to use, portable packaging to impart protection from airless, sunlight, dust, and other external factors is driving market demand in beauty and cosmetic products. Use of airless pump for delivering precise dose is generating its demand in the pharmaceutical sector. Advances in designs leading to the development of airless jar, compact and pouch for airless sensitive products are pushing the market growth upwards. However, the high production cost is likely to restrain market growth. This detailed market study is centered on the data obtained from multiple sources and is analyzed using numerous tools including porter’s five forces analysis, market attractiveness analysis, and value chain analysis. These tools are employed to gain insights of the potential value of the market facilitating the business strategists with the latest growth opportunities. Additionally, these tools also provide a detailed analysis of each application/product segment in the global market of airless packaging. The broad airless packaging market has been sub-grouped into the material, packaging type, dispenser and end-user. The report studies these subsets with respect to the geographical segmentation. The strategists can gain a detailed insight and devise appropriate strategies to target specific market. This detail will lead to a focused approach leading to identification of better opportunities. Furthermore, the report comprises of the geographical segmentation which mainly focuses on current and forecast demand for airless packaging in North America, Europe, Asia Pacific, Latin America, and Middle East & Africa. The report further focuses on demand for individual application segments in all the regions. The report also covers detailed competitive landscape including company profiles of key players operating in the global market. The key players in the airless packaging market include ABC Packaging, Ltd., Albéa Beauty Holdings S.A., Aptar Group, Inc., Fusion Packaging, HCP Packaging, Libo Cosmetics Company, Ltd., LUMSON SPA, Quadpack Industries, and WestRock. An in-depth view of the competitive outlook includes future capacities, key mergers & acquisitions, financial overview, partnerships, collaborations, new product launches, new product developments and other developments with information in terms of H.Q.